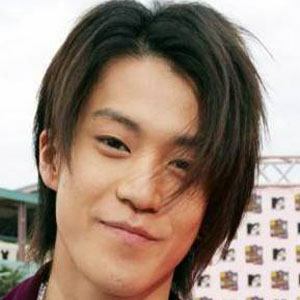 Japanese actor who has starred in numerous television and film roles including the role of Izumi Sano in the 2007 drama, Hanazakari no Kimitachi e.
He was born to theater director, Tetsuya Oguri and started acting alongside his brother, Ryo Oguri at the age of 12 before making his debut role as Noboru Yoshikawa in the drama, Great Teacher Onizuka in 1998. He is also a director and released his first directed film, Surely Someday in 2010. He married model Yu Yamada in March 2012 and they later welcomed their first child. Aya Ueto starred in his 2010 film, Surely Someday.